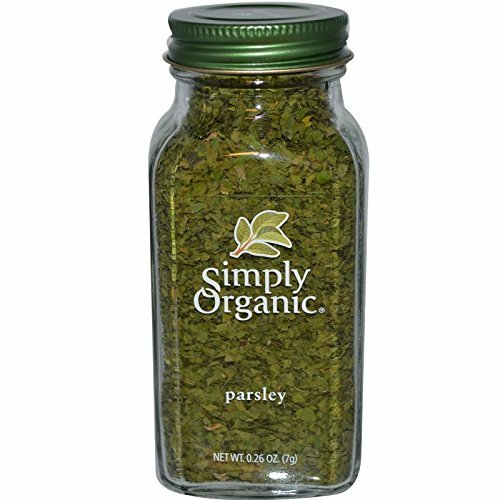 Simply Organic, Parsley, 0.26 oz(Pack of 3) by Simply Organic at The Flavour Stack. Hurry! Limited time offer. Offer valid only while supplies last. Our parsley has a bright green color and a mild, fresh flavor that's used to flavor soups, vegetables, sauces, dressings, eggs and all potato dishes. View More In Parsley - Page 5. Our parsley has a bright green color and a mild, fresh flavor that's used to flavor soups, vegetables, sauces, dressings, eggs and all potato dishes. Our organic parsley adds a mild, refreshing herbal flavor to a worldwide variety of dishes.